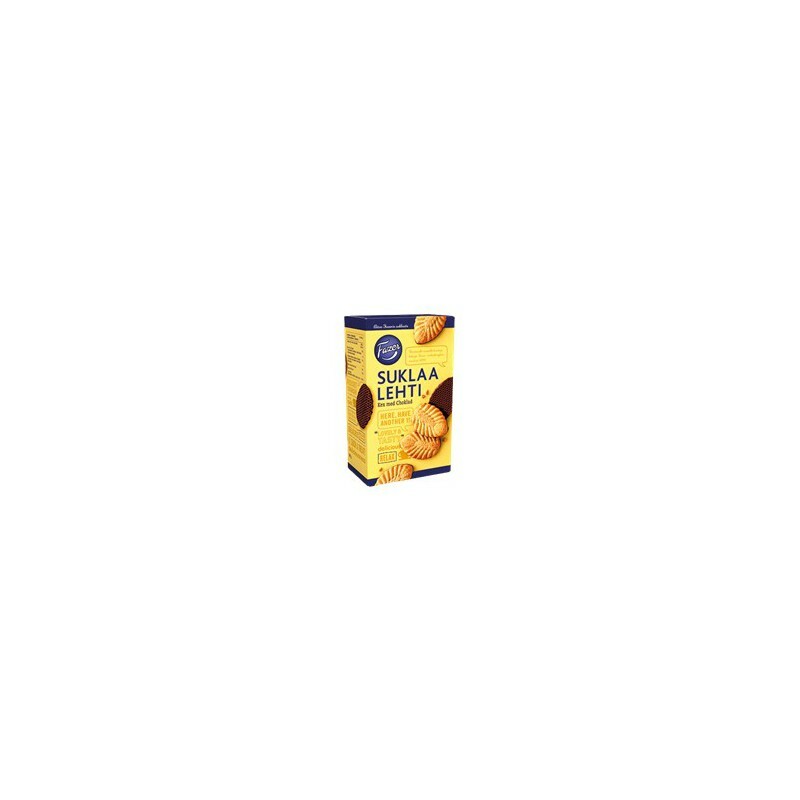 (GB) Small biscuits with chocolate 185g, approx. 27pcs. Ingredients: WHEAT FLOUR, sugar, cocoa mass, vegetable fat (palm, shea), vegetable oil (palm), cocoa butter, MILK FAT, raising agent (E500, E450), emulsifier (lecithin incl. SOYA), flavourings, salt, cinnamon. Amount of chocolate in product 23%. MAY CONTAIN TRACES OF EGG. Producer: Fazer Confectionery, Finland.